On August 21, a solar eclipse will cross the continental United States. In Iowa, people will be able to experience a partial eclipse with more than 90% of the sun in the moon’s shadow. 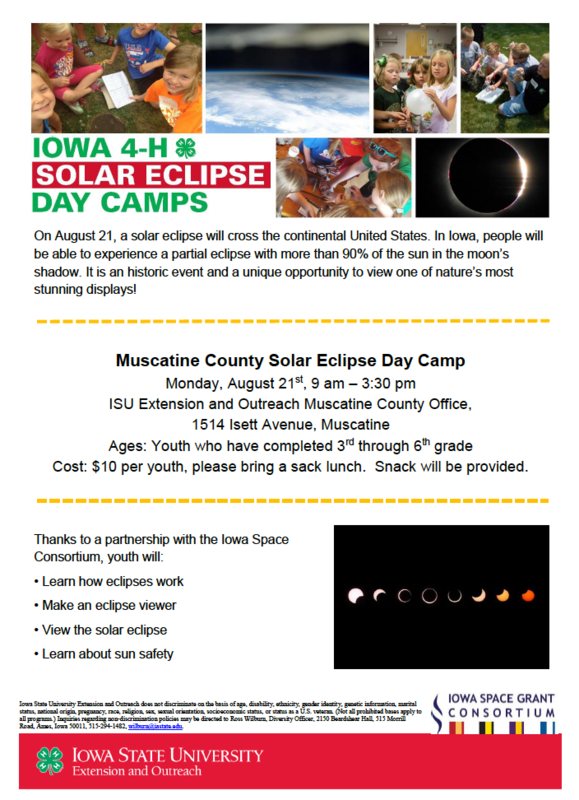 Sign up today to attend the newly added Solar Eclipse Day Camp that will be hosted by the Muscatine County Extension. Campers will have the opportunity to learn about eclipses, make viewing glasses, plus much more while having fun! Sign up today as space is limited!